It's always a long summer for sports without hockey, and the NFL and, dare I say it, the NBA as well. The summer is always about baseball and the luxury sports like golf and tennis and if your a Cleveland Indians fan, you've had the opportunity to focus upon their great play highlighted by an historic, and largely unfathomable, 22-game winning streak. The Buffalo Sabres begin practice today with 51 players invited to training camp and here's a quick note on each player. RW, Justin Bailey (2013, 52nd-overall)--Is said to have added upper body strength to a powerforward frame. Has a good shot at making the Sabres out of camp but really needs to work on his finish. He showed it in junior and also in Rochester, but it's time he brings it to the NHL. RW, Nicholas Baptiste (2013, 69th)--If Sam Reinhart is moved to center, Baptiste has the best odds at getting the call to skate on Jack Eichel's right wing. The 22 yr. old can skate and he can shoot using a variety of shots to score at any area of the offensive zone. He took a huge step last season in Rochester (25 goals and 16 assists in 56 games) and will be looking to progress even further with the Amerks should he not make the Sabres. RW, Eric Cornel (2014, 44th)--The two-way center with some giddy-up to his skating still has a lot of work to do, but he did show progress in Rochester last season. C, Kyle Criscuolo (2017, FA)--Sabres GM Jason Botterill fortified his AHL team this off season and Criscuolo is a big part of that. The speedy center with plenty of hockey smarts finished his first full season with 41 points (17+24) in 76 games for the Grand Rapids Griffins (DET) and should bring that (and hopefully more) to the Amerks this season. LW, Nicolas Deslauriers (2009, 8th, LAK)--Didn't have the best of seasons in 2016-17 and it looks as if he'll be spending a lot of time in the press box this season. C, Jack Eichel (2015, 2nd)--Said at presser yesterday that he's yet to prove anything despite leading the team in scoring last season while missing 21 games. Some have him as a point/game player. 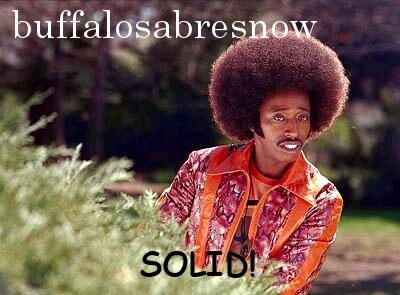 Sabres just want to get him signed long-term. RW, Hudson Fasching (2013, 118th, LAK)--Made the team out of camp last season, but was injured. Has a good shot of making the Sabres once again, albeit because of his skating, probably in a bottom-six role. LW, Zemgus Girgensons (2012, 14th)--What will this season be like for Girgensons? He had two good seasons as a teenager then two poor ones under former coach Dan Bylsma. He'll be in the forward group somewhere. RW, Vasily Glotov (2016, 190th)--Has a home with as an overage import, but continues to impress every time he hits the ice in Buffalo's camps. One to keep an eye on this season in Juniors. LW, Brandon Hagel (2016, 159th)--Hagel tore it up for the Red Deer Rebels last season which included a six-point game last season. The 19 yr. old "tenacious bulldog," as described by Kris Baker of sabresprospects.com/sabres.com, will be headed back to junior for his third season. C, Jacob Josefson (2009, 20th, NJD)--The 2017 free agent signee was brought in by GM Jason Botterill to help solidify the fourth line and his shootout prowess won't hurt either. LW, Evander Kane (2009, 4th, ATL)--Heads into his third full season with the Sabres behind a smile that says he's ready to go. Lead the team last season with 28 goals (25 at even strength) and is in a contract year. Should make for a very productive Kane on the ice, but most will have one eye on what happens with him off the ice as well. RW, Vaclav Karabacek (2014, 49th)--Before labeling this 6'0" 196 lb. winger a bust, it should be pointed out that he had injury problems in his first pro season with Rochester and, second-rounder's shouldn't be considered a bust in the first place. C, Johan Larsson (2010, 56th, MIN)--Was having a strong 2016-17 season before a crash into the boards ended it. Will be doing his gadfly-thing while centering the third or fourth line depending what they do with Reinhart. RW, Stevie Moses (Undrafted FA)--The University of New Hampshire graduate put up record-breaking numbers in the KHL (36 goals, 21 assists in 60 games) in 2015, was singed then released by Nashville and spent the last two seasons back in the KHL. Interesting signing if he can regain his form. LW, Matt Moulson (2003, 193rd, PIT)--Most get why he was signed to a long-term deal, even at that price, but with skating a real issue for Moulson in today's NHL, he's become a powerplay specialist (and a good one at that.) This could be his last season in Buffalo unless he really kicks it up a notch or two. LW, Alexander Nylander (2016, 8th)--His showing in the first Prospects Challenge game this year may have punched his ticket to Rochester. Not that it was bad by any means, but the highly skilled winger failed to supremely impress and had an injury ta boot. Another year with the Amerks, or at least a start there, while adjusting to his increased bulk, is a good thing despite what he and others might think. C, Ryan O'Reilly (2009, 33rd, COL)--About the only thing we don't know about him for this season is whether he'll be wearing an 'A' or a 'C'. Everything else about him we know and like very much. RW, Kyle Okposo (2006, 7th, NYI)--With April's health scare over, Okposo is ready to move on, more than likely on O'Reilly's wing again more than likely scoring 25 goals or so in a full season. RW, Jason Pominville (2001, 55th)--The former Sabres captain is back in the fold after an off-season trade with Minnesota. Third line RW with some PP and PK duties seems ideal. Doesn't need to wear a letter to be a leader but may get one anyway. C, Kevin Porter (2004, 119th, PHX)--Porter is another one who's back in the fold. The 31 yr. old spent the last two seasons in the Pittsburgh organization while the Penguins were busy winning back-to-back Stanley Cups. It would seem as if Rochester has it's captain. LW, Benoit Pouliot (2005, 4th, MIN)--Botterill mentioned Pouliot being able to play up and down the left side in any of the bottom three wing slots. He also mentioned that Pouliot has the tendency to bounce back from off seasons. The Sabres and their fans are hoping the latter is indeed true and that he can hold the fort in a top-nine/top-six role for the club. C, Cliff Pu (2016, 69th)--Pu had a great Prospects Challenge and caught the eye of new head coach Phil Housley. Leading the London Knights and making Team Canada's World Junior team are the first things on his docket this season, but the future looks really bright for this 6'2" 192 lb. two-way center who won't turn 20 yrs. old until June. RW, Sam Reinhart (2014, 2nd)--Reinhart's been largely underappreciated despite him adapting to different roles. In 2015-16 he was moved to wing and was Buffalo's net-front presence on the first powerplay unit. He scored 23 goals that year as a rookie. Last year he played a lot of center registering 30 assists. How will Housley use him? We're not quite sure yet. C, Evan Rodrigues (2015, FA)--May have one of the best opportunities to make the Sabres if he ends up on the wing, which is where he rode shotgun with Eichel in college and where he started his pro career. He's a versatile forward who uses his skill anywhere on the line but was playing center last season. If that's the case this year, he'll probably end up in Rochester. LW, C.J. Smith (2017, FA)--Smith also has a good shot at making the club on the left side. 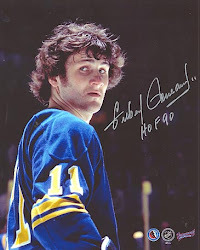 Although he only played two games for the Sabres he never looked out of place. However, there's a big difference between being playing at the end of the season on a non-playoff team and starting the season with every team gunning for the playoffs. Victor Antipin (2017 FA)--The Sabres began courting Antipin under former GM Tim Murray and Botterill finished the job. The Sabres defense was in serious need of an upgrade and the KHL free agent saw an opportunity in Buffalo so there was a match. Bonus points for the Sabres is that the left-handed Antipin can play the right side without a hitch. Nathan Beaulieu (2011, 17th, MTL)--Another defenseman brought in to bolster a weak blueline. Beaulieu had some time playing on Montreal's top pairing before sliding down the depth chart and into the pressbox. The Sabres see him as a top-six defenseman with upside and odds are he makes the starting group on defense. Zach Bogosian (2008, 3rd, ATL)--Was it the coach? Or was it Bogosian? That's the question that will be answered this season. Bogosian has three years remaining on his contract and probably won't be headed anywhere this season or next, barring an unlikely trade scenario. This a big year for him. Maybe he'll get lucky and play close to a full season, something he hasn't done in eight years. Vojtech Budik (2016, 130th)--Attended the Czech World Junior Summer Camp and sabresprospects.com has him as a favorite to be a top-four d-man for the team. Justin Falk (2007, 110th, MIN)--Lost in the need to upgrade the defense was the really solid play of Falk last season. The stay-at-home d-man with decent wheels will more than likely be anchoring the defense in Rochester to help steady a group that will have many new faces. Taylor Fedun (Undrafted FA)--Another one who got bumped down the depth chart with Buffalo's off season moves. The puck-moving Fedun seems like a Housley-type of defenseman as he looked the part in 27 games for the Sabres last year. He could surprise should someone falter, but a Falk/Fedun tandem in Rochester would be a great thing for the Amerks. Cody Goloubef (2008, 37th, CBJ)--Tweener defenseman is the only player in camp invited on a pro tryout. He'll add depth to the organization should he be signed. Josh Gorges (Undrafted FA)--Gorges is a trooper, a consummate pro who leaves it all out on the ice. He's in the final year of his deal and his type of rugged defensive game may have relegated him to a reserve role this season. Props to him for shouldering the weight of some atrocious seasons while the team was at the bottom of the league. Brendan Guhle (2015, 51st)--Guhle just keeps on turning heads every time he hits the ice in Buffalo dating back to his first training camp in 2015 when he looked to have made the team, or at least had a nine-game audition, prior to an injury. He played three games for Buffalo last season and never looked out of place and had a glorious Prospects Challenge Tournament. Of all the youngins, he may have the best shot at making the club. Brycen Martin (2014, 74th)--The big 6'2" 212 lb. third round pick has some work to do if he wants to make the Amerks this year. Martin spent his rookie year split between Rochester and the Elmira Jackals last season. Although he shouldn't be written off, his goal needs to be a spot in Rochester's top-six. Jake McCabe (2012, 44th)--McCabe has a history with Housley that dates back to the 2013 gold medal-winning Jr. Team of which McCabe was the captain. There is some offensive upside lurking within the 23 yr. old defenseman and one would think that Housley can help bring that out. Casey Nelson (2016, FA)--A lot was expected of Nelson after a strong seven-game Sabres debut in 2016. He took a big step back after making the team last season but regained his footing in Rochester as the year progressed. Austin Osmanski (2016, 189th)--The East Aurora native is out to prove that he wasn't just a token pick by his hometown team. Osmanski has great size (6'3" 196 lbs.,) can skate pretty well and has some offensive attributes but at a seventh-rounder he's a project player. He'll be headed back to Mississauga for his third season with the Steelheads. Rasmus Ristolainen (2013, 8th)--While there are many in media and across the NHL who think Ristolainen will definitively anchor Buffalo's defense this year and for years to come, the analytics community remains unconvinced. Yet at 22 yrs. old and with 273 games under his belt playing mostly against the best the opposition has to offer, the Big Finn is still growing into his role and still has plenty of upside. Marco Scandella (2008, 55th, MIN)--The trade for Scandella cost the Sabres two roster players and a pick and added Pominville's $5.6 million salary to the cap for the next two seasons. But Botterill believes a strong skating defensive-defenseman like Scandella can anchor the top pairing and having him there should allow Ristolainen more offensive freedom then he had last season. Devante Stephens (2015, 122nd)--Without the additions by Botterill this off season, Stephens would have been moved up the depth chart to what may have ended up being an uncomfortable slot in Rochester. He's very mobile, has definitive offensive acumen and is very smart on the ice as he seems to make the right passes every time. But he's transitioning to the pros and that will involve some adjustments. Matt Tennyson (Undrafted FA)--Tennyson is another vet added that will be ticketed for Rochester. The AHL/NHL tweener spent 45 games with the Carolina Hurricanes last season and finished with a minus-13 rating. In nine games for their AHL affiliate, the Charlotte Checkers, Tennyson had seven points (3+4) and was a plus-7. Jonas Johansson (2014, 61st)--The Sabres have their organizational depth chart set and Johansson would have began his rookie campaign as Linus Ullmark's back up were it not for the signing of Adam Wicox. Johansson got his feet wet last season playing in seven games for Rochester behind a rather weak Amerks club and it looks like his rookie season will be in Cincinnati with new ECHL affiliate, the Cyclones. Chad Johnson (2006, 125th, PIT)--Bringing back Chad Johnson was big for the club in that he's an on-the-cusp starter who's professionalism allows him to positively play a back-up role. Should anything happen to starter Robin Lehner on a long-term basis, like what happened in 2015-16, Johnson is more than capable of carrying the load. Jason Kasdorf (2011, 157th, WPG)--Kasdorf has yet to adapt to the pro game and looks to be slated for backup duty in Cincinnati. Linus Ullmark (2012, 163rd)--Ullmark got peppered last season in net for the Amerks but he weathered it rather nicely. One of the cool things about bringing in Johnson was that Ullmark can spend another season in Rochester fine-tuning his pro game while being the No. 1 and in a year or two, if he develops properly, we could be looking at the Sabres next starting goalie. Adam Wilcox (2011, 178th, TBL)--Having the former Hobey Baker finalist as a backup to Ullmark in Rochester will allow Johansson to get plenty of playing time in Cincinnati.